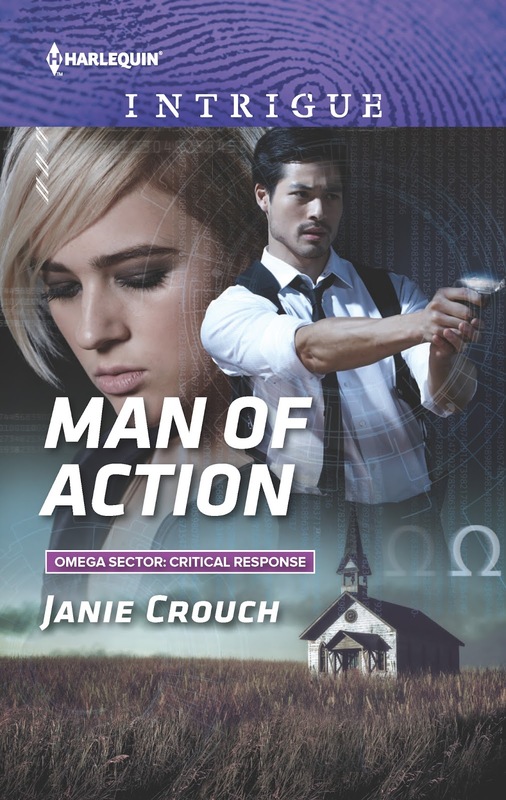 MAN OF ACTION, a standalone novel but part of the Omega Sector: Critical Response series, is now available! This is my personal favorite story of all the novels I’ve written so far. Brandon and Andrea truly grasped my heart as characters. Brandon stopped at his room and got his keycard out of his pocket. He knew Andrea was in bad shape when she didn’t protest him ushering her through his door. He shrugged off his jacket and threw it over the chair, then helped her take off her soaked blazer and eased her down to sit on the edge of the bed. He left her for a moment to go get a towel from the bathroom. When he came back she hadn’t moved at all, was still sitting, huddled into herself, where he’d left her. His heart broke a little bit at her flinch when he put the towel around her and began gently drying her hair. “Shh. I won’t hurt you. I just want to make sure you don’t get sick.” He took a corner of the towel and wiped it across her cheeks in an effort to dry them and also remove some of the makeup that had run down her cheeks. Her green eyes just stared out at him. Brandon left the towel wrapped around her shoulders and grabbed a chair so he could set it right in front of her. He sat so they were eye to eye. realized it was because he’d never seen her without a long-sleeved shirt or blazer. Her professional wardrobe was not just an emotional barrier between her and the world; it was a physical one. As he looked down at the scars again, at her countenance, her posture, a rage flooded him. She had been abused. He immediately tamped down his anger, knowing she would read it and could take it the wrong way. She needed support right now. Gentleness. Caring. “They hurt you.” His voice was barely more than a whisper, but it wasn’t a question. A tear rolled down her cheek as she looked away from him out the window. She was still rubbing her arm. She was obviously trying to give herself a pep talk. Brandon couldn’t think of a single reason why an abuse survivor should be thankful for what she’d been through. Thank you Julie!!!! 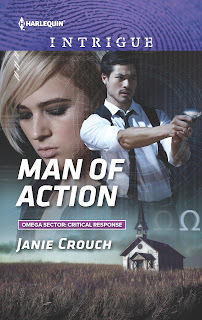 Man of Action is honestly my person favorite. Love these characters. I've enjoyed each one of your books that I have read. I loved the excerpt and I'll be looking for this one, too. Thanks Joan! I hope you like this one. It's my personal favorite of all my books. 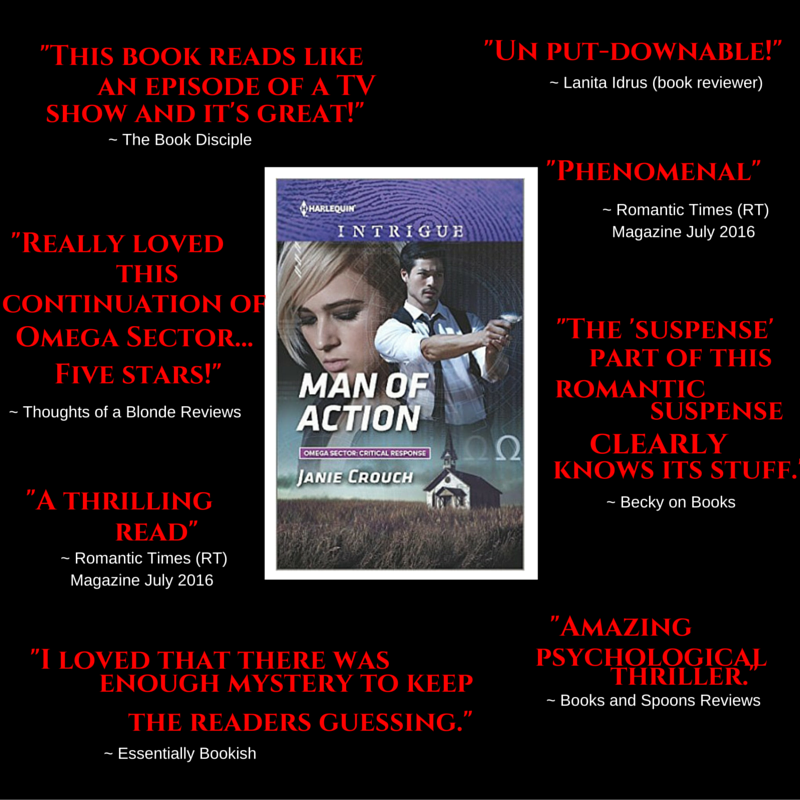 The blurb sounds intriguing, looking forward to read it! Thanks, Dee. Hope you like it! !